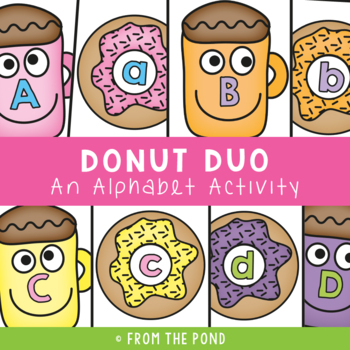 This is a printable card game ideal for a small group of players. 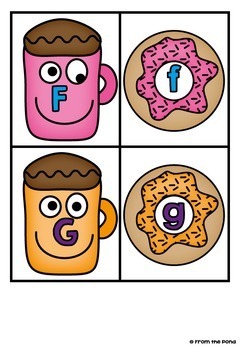 Students will delight in helping to match their funny mugs and donuts and learn sounds at the same time! 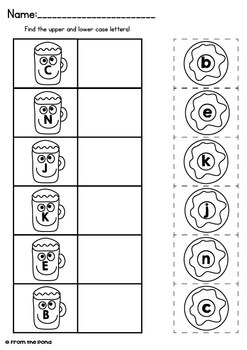 Students will match the lower case version of each letter with the upper case version. The file features a teaching tips page, a detailed instruction sheet, fifty two cards, 5 'cut and paste' worksheets and a cover page!